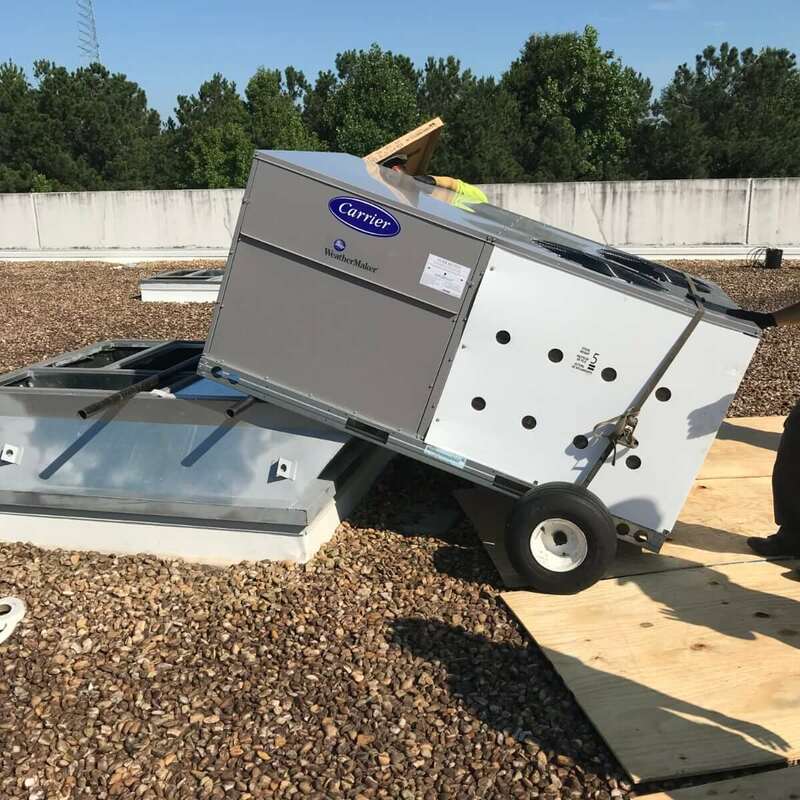 The Alternative 2 Wheel System, (Patent Pending), is the most cost effective solution for rolling AC Units around on roof tops. Stop sending your profit out the door with excessing crane rentals and helicopter expenses. Put that profit in your pocket! 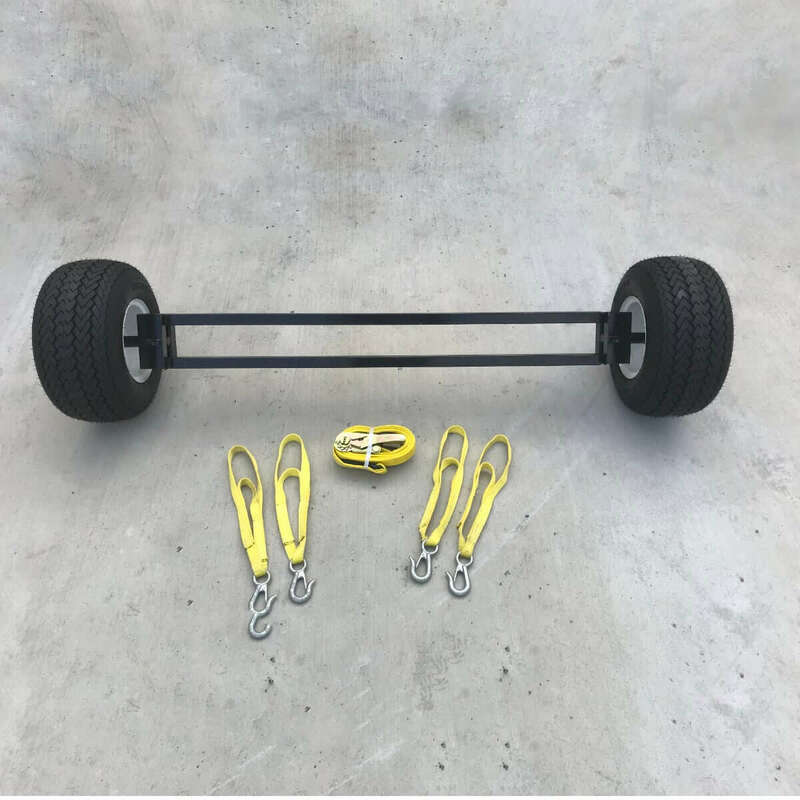 HVAC Contractor will need a 1 1/2 inch pipe that is wider than the roof curb you are working with as well as a Hi-Lift Jack. Our Alternative A Frame product. 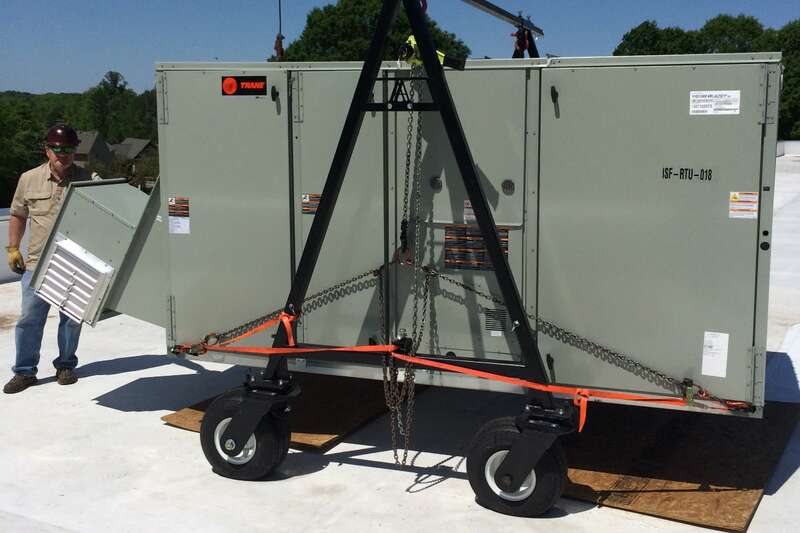 This product is used for moving bigger A/C units around on rooftops. Every time you have to hire a crane operator or helicopter pilot to set in HVAC Units on Rooftops you are sending profits out the door. 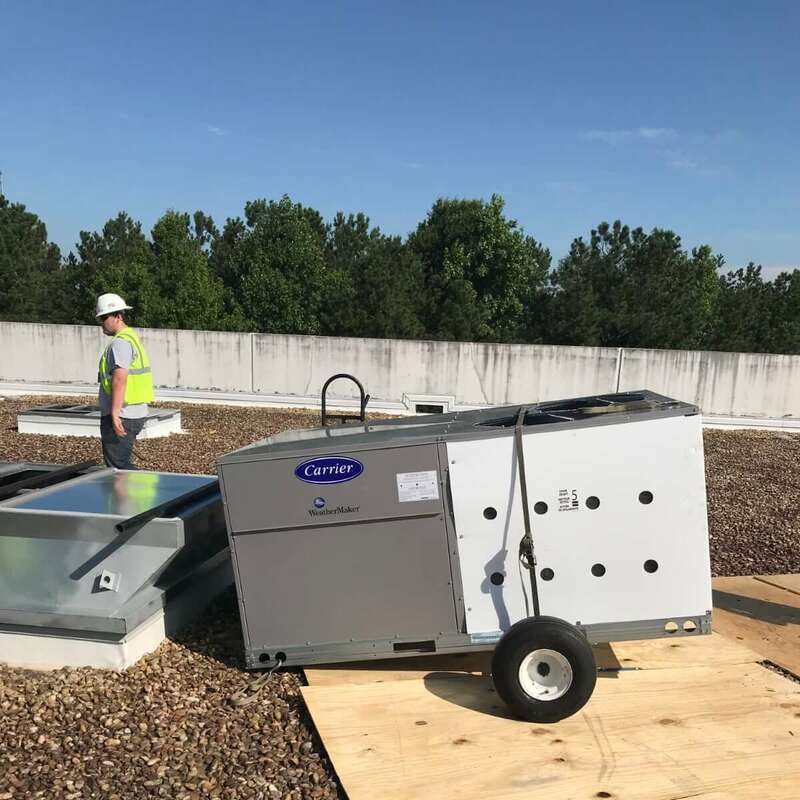 Our Alternative 2 Wheel System is the most cost effective and easy-to-use system for rolling hvac units around on rooftops.